Hisham Albahar is the Group CEO at Posta Plus and has held this position since June 2017. His roles and responsibilities include overseeing management of all stations in the Middle East, namely Kuwait, Bahrain and UAE as well as office facilities in Canada, US, UK and China. As Group CEO, he has full management control of partner companies under the umbrella of Posta Plus Group, such as Gazal Express, National Express and Student Center. Since he joined the company in 2013, Hisham held various positions including Regional Director, Country Director for Posta Plus’ Kuwait headquarters, and Country Manager. During his time at Posta Plus, Hisham’s prominent leadership skills, paired with his high skill-set and strategic abilities resulted in significant growth and development for the station in Kuwait. 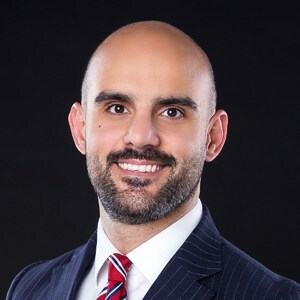 Hisham holds over 15 years of experience in the logistics industry, working with FEDEX as Ground Courier & Operations Staff, Sales Executive, and Sales Manager. Hisham sits on the Board of Posta Plus and a graduate from American University of Beirut, Lebanon.